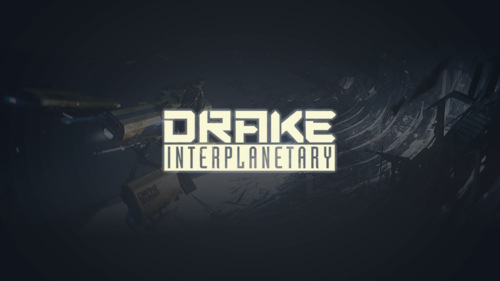 To cap off our Anniversary Special this week, we gathered developers on Happy Hour to discuss options of the next Drake vehicle to enter the ship pipeline. During the show, viewers helped narrow the choices down to three prospective options, as potential design aspects were discussed for each one. Now, and through December 11th, we are opening the voting to all Star Citizen backers to decide which of these options will become a reality. Each ship represents a different aspect of Star Citizen’s gameplay, and while all would make fantastic additions to our universe, only one will be voted in by you, the members of our community. If you’d like to know more about each ship option before voting, we recommend watching our Happy Hour Gamedev special that was aired live on Twitch and Youtube. Thank you for helping make this another fantastic anniversary for our project. A one man salvage starter ship, no drones but plenty of on-board storage to help with EVA salvage operations (space for cutters, charges etc) and space in a separate area to store/process the recovered salvage. Mostly designed for the player to EVA out and do the salvage, rather than sit inside and do it with tractor beams/lasers. Small enough to sneak into hostile areas unnoticed to recover fresh salvage. Drake’s competitor to the Constellation, the rough and ready multi-crew explorer. Differs from the 600i by its crude basic construction and from the Constellation by its lower missile count, but with a third turret to make up for it. Able to transport a vehicle and cargo (think extended/up-scaled Cutlass rear area) faster and more nimble than the others, but like all Drake ships pretty paper thin. Drake’s capital ship entry, space to park and store a few medium ships (up to Freelancer-sized) and transport them around the verse. Serves as a mobile truck stop in function with a small hub of stores (some less than legit) to help restock.